HomePreventionBefore You Go OutdoorsWhen Are Ticks Most Active, and How Do They Find Hosts? 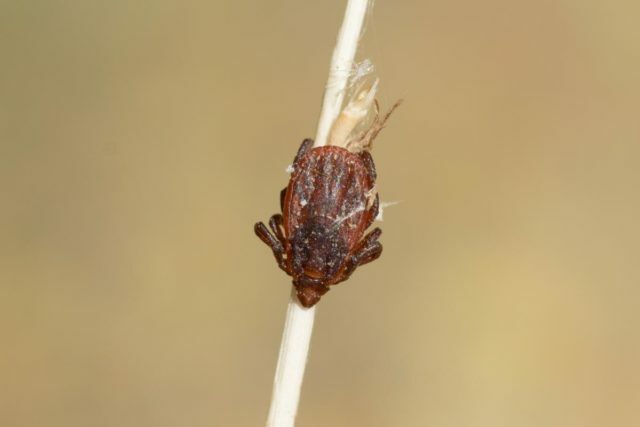 One reason this is important to remember is because a tick’s developmental stage can affect what types of hosts it feed on and at what time of the year it will be active. Let’s take a look at the feeding habits and active timeframes of the ticks in Indiana that are most dangerous to humans. 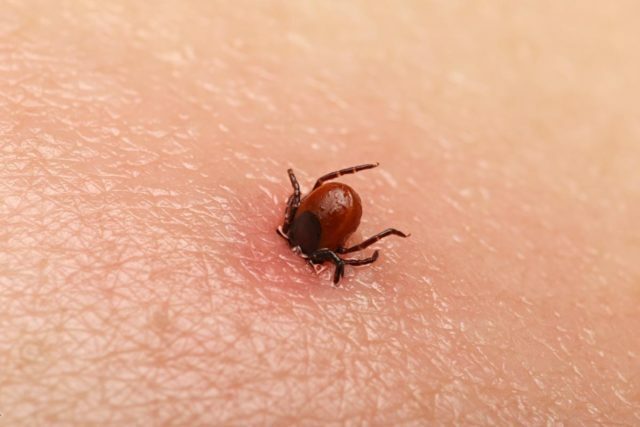 The blacklegged tick (also called the “deer tick”) is the primary carrier of Lyme disease, as well as human anaplasmosis, babesiosis, and Powassan virus. The following table outlines the host choices and most active periods for the various stages of a blacklegged tick. The nymphal stage tick is the most dangerous to humans, because it is roughly the size of a poppy seed, and rarely detected until after it has attached and engorged – meaning that, if the tick is infected, it has likely already transmitted Lyme or another disease it could be carrying to the human host. The lone star tick has been connected to a number of illnesses – tick paralysis (adult female), Rocky Mountain spotted fever, ehrlichiosis, Southern tick-associated rash illness (STARI), and alpha-gal allergy. The following table outlines the host choices and most active periods for the various stages of a lone star tick. The American dog tick (especially the adult female) has been linked with the transmission of several diseases – tick paralysis, Rocky Mountain spotted fever, tularemia, and anaplasmosis. 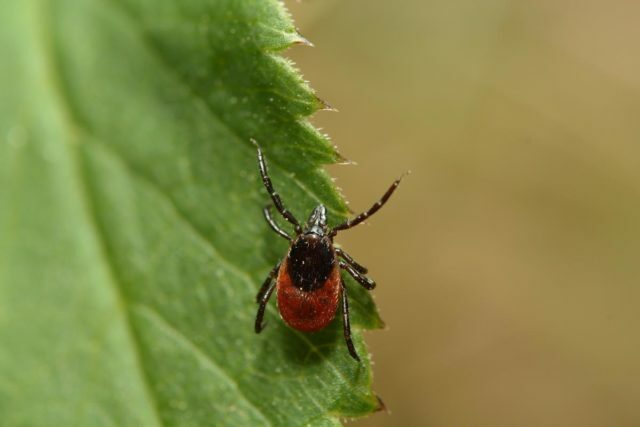 Also, even though the current evidence does not show a connection between the American dog tick and the transmission of Lyme disease, researchers are still looking for a possible connection. For a quick reference ID card for identifying the blacklegged tick, the lone star tick, and the American dog tick (at every stage of development), click here. How Do Ticks Find Hosts? “Questing” (pictured left) involves a tick holding onto the vegetation (e.g. leaf or blade of grass) with its third and fourth pairs of legs, while its first pair of legs is stretched wide and a little forward. The tick will then grip a passing host with these front legs as that host brushes against the vegetation. 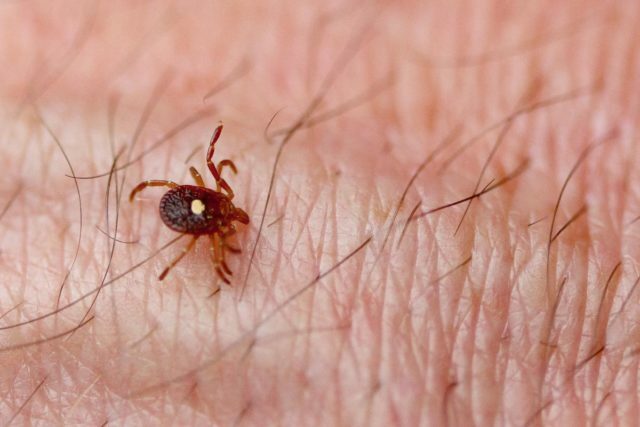 Once a tick has grabbed on to a host, it will crawl up until it finds a place on that host’s body to feed. Sometimes, the tick might look for a spot where the skin is thinner or where pressure from a waistband or watchband can help them penetrate the skin more easily. 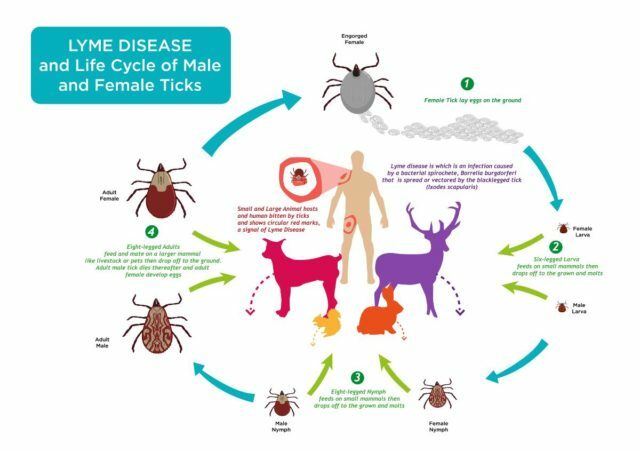 For more information about where ticks tend to feed on the human body, visit our Do A Tick Check page.